This blog has now been superseded by a brand new ISLN webpage. Singing, collaboration and the thrill of competition is a winning combination for our international readers. Seeing students smile with pride at their accomplishments plus working with students from other schools makes all the effort of planning worthwhile. The power of the International School Librarian Network of Singapore (ISLN) made it all possible. Katie Day and Barb Reid hosted a session on the power of a good librarian network and an event such as the Readers Cup really highlights the level of collaboration and interaction. This year's Readers Cup Festival had a number of components: book trivia quizzes, book cover competition, viewing book trailers and, what I feel was the most enlivening component, students from different schools mixing together to work together on book-related activities. 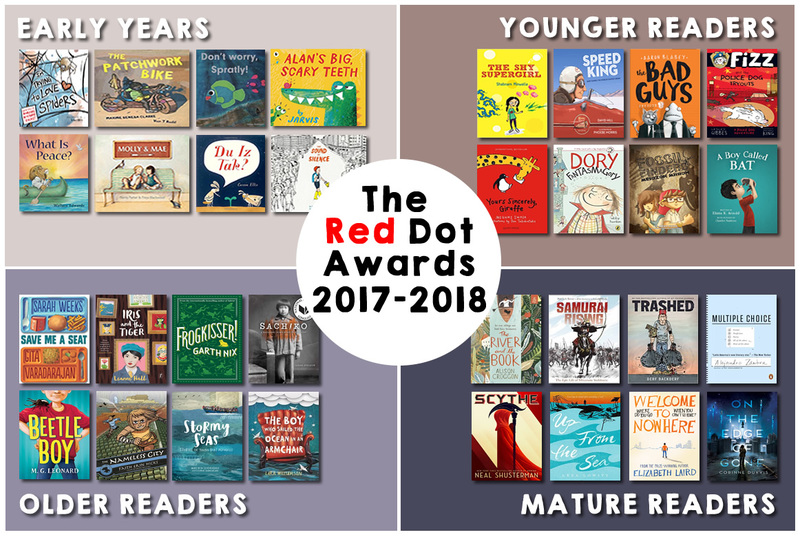 Our books are based on our 'Red Dot Books' which are selected by teacher librarians in the ISLN and are a diverse set of books from authors from various countries as well as a diversity of genres and characters. There are 8 books in each category: picture, younger, older and mature. We do our best to have a balanced mix. Our students prepare for the quiz working in Book Clubs with about 6 other students with a teacher mentor over a period of a few months, enough time for all the children to read and get to know all the books. who had a teacher mentor that met with them once a week during lunch hour. The teacher ensured the kids stayed on track with their reading, provided guidance for creating book covers and trailers and of course, like any book club, talked about the books. Since we had so many teams we needed to run a trial quiz since there are limited spaces per school, this year we were permitted to have 2 teams in each category. Having students work with students from other schools was a key component since they're required to use a different set of skills. We have so many schools in such a close vicinity that we really need to better utilize this tool, the activities were a good step in the right direction. 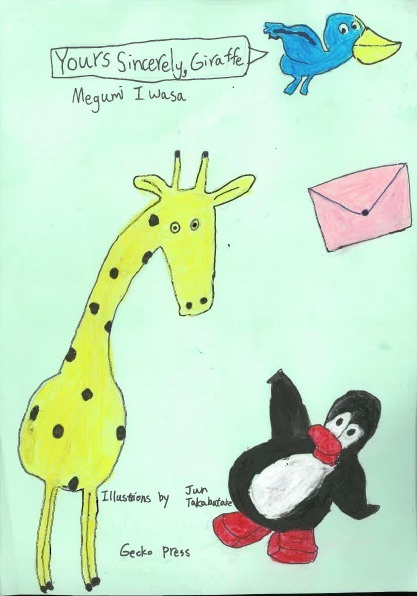 The students needed to collaborate and problem solve with strangers on a task that required them to have a creative product, our younger students made a skit about a favourite part in a book and the older students created jingles. Our kids really stepped up to the mark, they negotiated, they planned, they performed and they laughed. It was really heartwarming as a teacher watching the kids have fun, and have fun with books! The famous quiz requires a different skill set: knowledge, sportsmanship, comprehension, strategy and again, collaboration. We used Kahoot to host multiple choice quizzes for each book and then added up scores to decide on the final winner. The overall winner received the 'Readers Cup'! This simplified description doesn't highlight the challenges of coordinating multiple schools with different schedules and moreover, strong teacher librarians who are busy and have their own opinions. We required a committee, led by the passionate Lisa Miller, who met a handful of times to sort logistics: venue, time of day, prizes, activities, etc. Our lovely hosts this year was Dulwich College, this was the perfect venue. It has a gorgeous theatre to lend the gravity needed to make the event seem special and to host opening and closing ceremonies. Sarah Mousney and Jane Hayes, the teacher librarians were very well organized in having their tech staff prepared with projecting the quiz, extra iPads and of course ensuring we had a solid wireless connection. They also recruited a number of teachers to help guide participants through the school from different areas. The librarians didn't complain when our students started to rearrange their furniture in the library in order to perform. And they have a canteen area large enough to accommodate us all. These ladies had a large role in the organization of the event, and I wonder if there's a way to adjust our planning to better support hosts? The area that we found challenging was collaborating to write questions for the quizzes. Our goal was to have everyone contribute some questions and then have an 'impartial' person who wasn't participating add some questions in an attempt to be impartial. It would have been too much for one person to write quizzes for 24 books. When we attempted to have students write questions, which is what I used for the trial quizzes, they were rather simple. 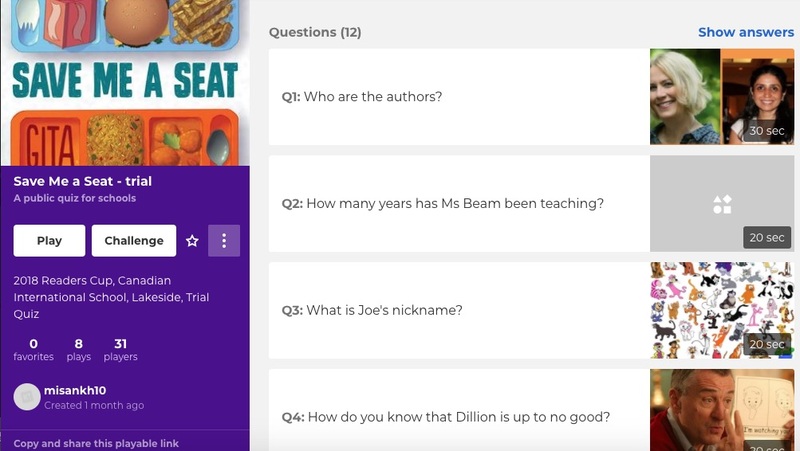 Since Kahoot is multiple choice, it takes a bit of time to craft challenging questions and answers. In our reflection, it was suggested we outsource this job but after having written multiple sets of questions, and answers, I believe they need to be developed by someone who has read the books closely and even better if you have used the books with the students. Another challenge we faced as a committee seemed to be adhering to deadlines. We realized that we had set the event just after a major holiday for all of us, over a 3 week period all of us were out of school for 2 weeks and to compound the problem it was over different weeks. Since there were delays when people were checking and completing tasks, we lost our direction as to who was responsible for each component. This increased the last minute rush to get pieces in place and raised stress levels all around. Thankfully, as teacher librarians we are well versed in the rush and putting pieces together in a flash along with a smile. It said something about our collective professionalism to pull it together. For prizes, we have a brilliant local book vendor Denise Tan from a Closetful of Books who provided our winners with a book voucher that could be spent at a book fair which they hosted throughout the event. 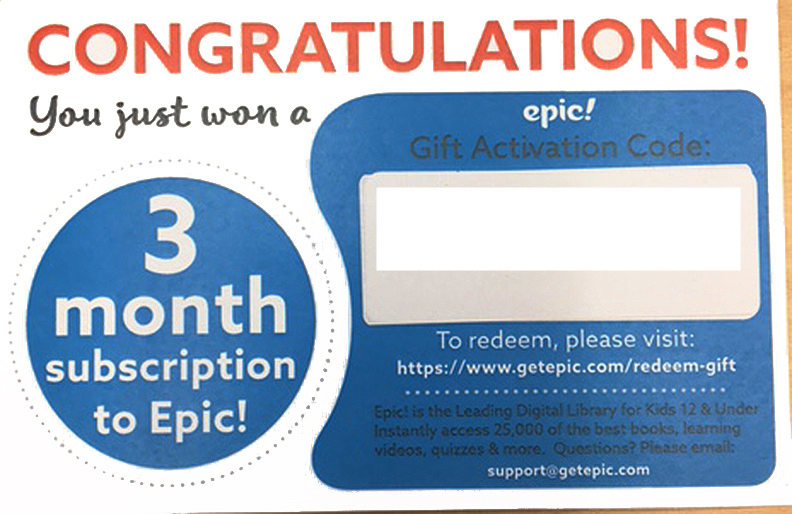 We also approached Epic books for a handful of free memberships. One of the members, Kate Brundage, kindly carried a number of autographed books from the United States that we awarded as door prizes throughout the competition. And no Nationwide competition would be complete without medals and cups! A lovely big cup is awarded to the school of the winning team to display for a year and each winning student gets a medal. Some of the registration fees went to funding for food and prizes. 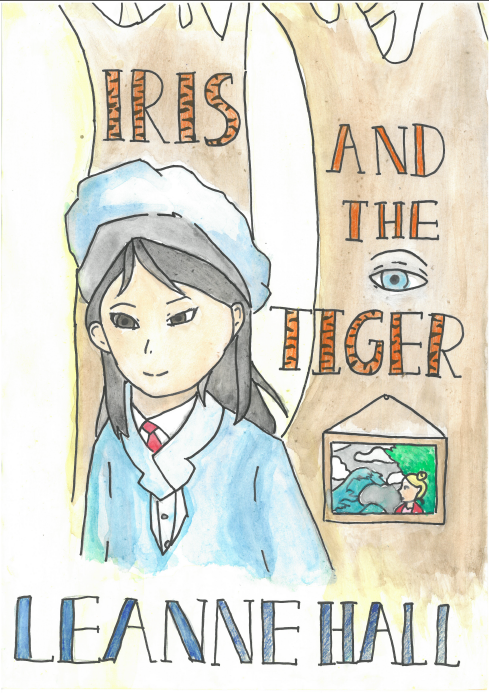 surprisingly difficult to get them to produce thoughtful book covers and trailers. Since we meet at lunch hour, they don't really have much time to produce something creative in that time frame. I had mentors complain last year that 12 weeks was too long, so I scaled the book clubs back to 8 weeks, thinking book clubs could focus on a book each week. The problem is this didn't allow time for creative endeavours. I had encouraged kids to come and draw and create trailers in the library any time during recess but it didn't happen. I had to rely on students producing products outside of our meeting times. Although we provided rubrics and guidelines for the covers and trailers, they weren't well utilized. However, my colleague, the famous Nadine Baileycollaborated with the art teacher and the kids produced gorgeous covers. For next year, I will need to rethink how we will encourage students to produce quality covers and trailers. Overall, it was a fantastic event that truly highlighted the power of a professional learning community coming together to host a fun literacy centered event that our students loved, and hopefully will continue to love participating in! Here is the website with the details about it, including information about costs and the registration form. 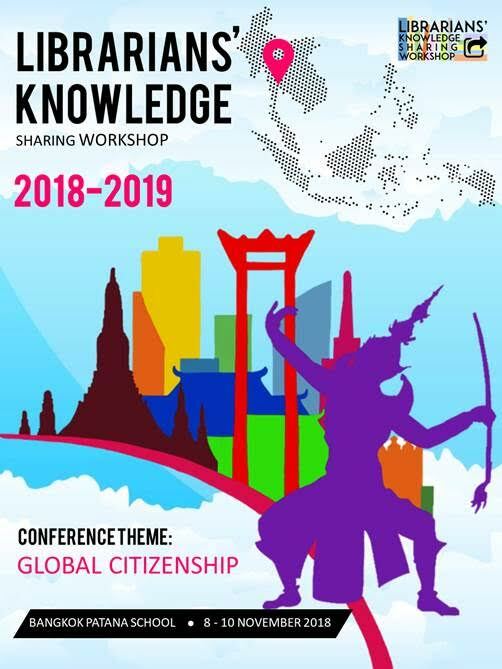 Registration will close on June 15th 2018. This conference will be of particular interest to school librarians and also have relevance for school leaders and literacy co-ordinators. Please can you share the information within the relevant staff within your school. 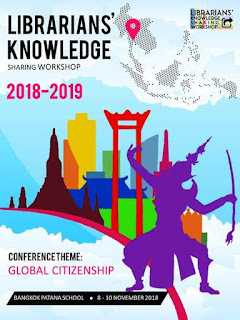 Our library team is very much looking forward to hosting the conference and look forward to seeing representatives from your school join us here at Patana.